CoolStar, who is currently among the most prominent and respected members of the jailbreak community, has announced yet another jailbreak package for iOS 11 through to iOS 11.1.2 devices. Dubbed Electra, the developer is passing the app off as a “toolkit for tweak developers”, which seems to suggest that it’s being offered predominantly into the development community in order to test packages for iOS 11 compatibility. In addition to tweeting about the release of Electra, the developer has also shown off an accompanying screenshot of the package running on an iOS 11-powered iPad, which gives us a hint at the accompanying UI attributed to @aesign_. There is also recognition placed on the interface for Ian Beer of Google, theninjaprawn, stek29, and, of course, xerub who appears on most of these tools in one way or another. Those attributions suggest that Electra, like other jailbreaks, is based predominantly on the aysnc_wake exploit discovered and released by Ian Beer, which would account for its support up to and including iOS 11.1.2. 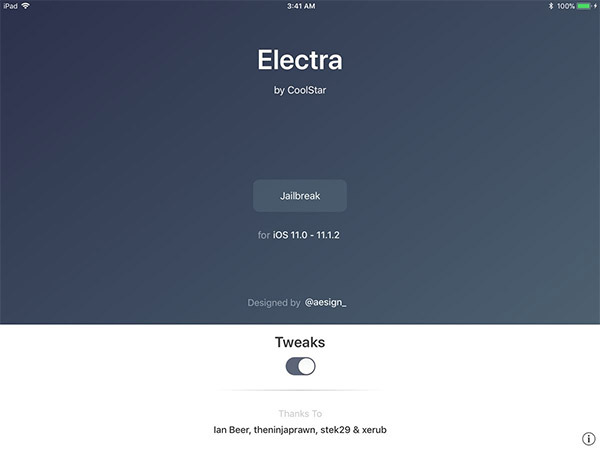 As mentioned earlier, what’s particularly interesting here is that CoolStar is passing the Electra utility off as a “toolkit for tweak developers” rather than actually calling it a jailbreak. 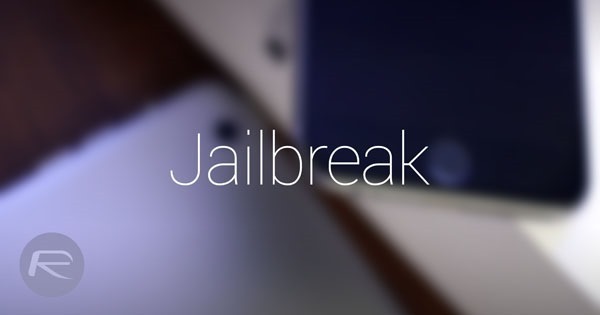 This is likely due to the fact that it doesn’t offer a functional and updated version of Cydia or Substrate – although it does offer the libsubstitute Cydia Substrate alternative created by Comex – and therefore cannot really fall into the categorization of being a full jailbreak that would immediately benefit the community without additional work needed. It seems that it’s being aimed at developers and theme creators as a way of testing those solutions on a liberated iOS 11 device. After the user has hit the “Jailbreak” button on a device running iOS 11 through to iOS 11.1.2, the iPhone or iPad should be left with a pre-installed set of tools and utilities already in place. These include Anemone, libsubstitute, Preference Loader, SSH, SCP, SFTP, and GNU Command line utilities, which is a solid foundation for most developers and tweak creators to be able to do what they need to do. The tweet which announced Electra also suggests that the official release is “coming this weekend’, which means that jailbreak fans have yet another release to look forward to. We’ll be sure to let you know as soon as it’s available. Good for devs to start testing ios11 compatible tweaks before Cydia/subtrate is updated for us “common folk” to start downloading. So many tools around these days to ‘jailbreak’ ios11 it really is becoming a minefield. All this great work is much appreciated but I still have not made the jump yet, I’m holding off until Cydia and Cydia Substrate come packaged with the jailbreak. I don’t want to screw my phone up and have to restore to the latest firmware, a situation that happened on my iPhone 6s back in the day. Will this be limited to specific devices? After installed Electra i have icon Anemone on my springboard . How I can add some theme ?